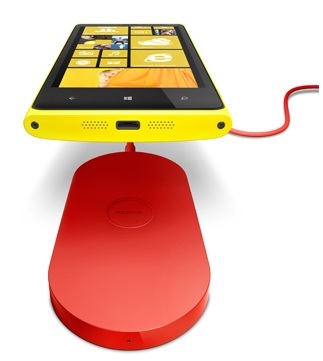 With the probable specifications and features of the Nokia Lumia 920 and Nokia Lumia 820 getting leaked @evleaks, the Twitter account which earlier posted the renders of the upcoming smartphones has posted another image which shows the wireless charging pad for the two devices. The wireless charger is said to be arriving with Qi wireless power standard which means other devices might also be compatible with the charger. The pad looks to be the same size as that of the devices and a single cord is found on the other end which probably might be connected to a USB port. 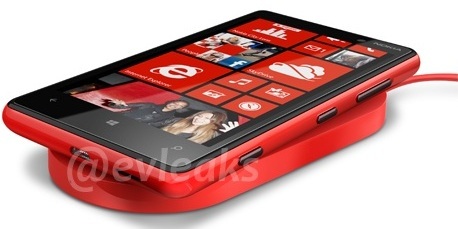 Going by the looks and the design of the pad coupled with the Nokia Lumia 920 and Lumia 820, the combo looks awesome and we are indeed itching to get our hands over the devices and the chargers. The launch event of the Nokia Lumia 920 and Lumia 820 is just over a day away and we are all set to bring you the latest from the event but are you ready and excited?